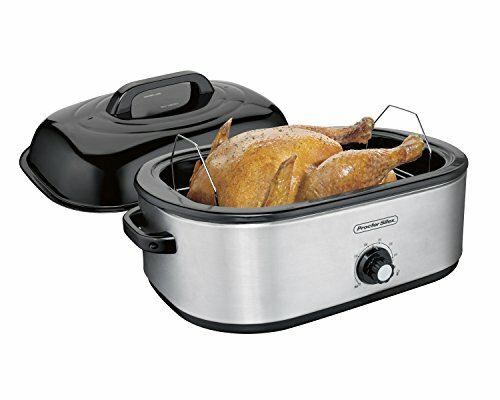 Made in the USA, Granite Ware roasters brown better and cook more evenly than any other roaster. 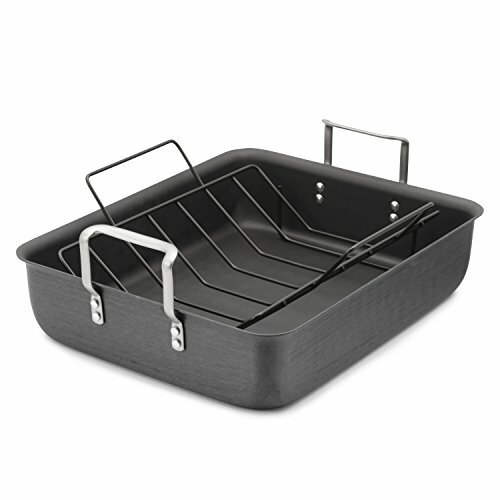 Made of carbon steel construction for strength and much stronger and safer than foil type pans. Porcelain is fused to the steel at 2,000 degrees Fahrenheit producing a non-porous, inert glass surface that is naturally non-stick. Porcelain can chip if dropped, however this does not reduce the effectiveness of the cookware. The porcelain surface is naturally nonstick and contains no harmful chemicals.